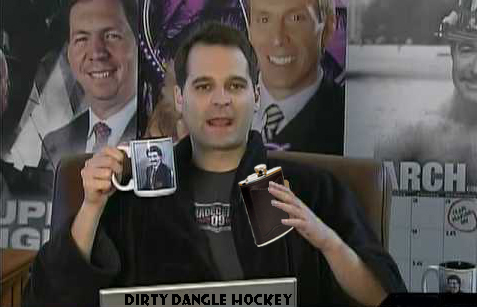 Dirty Dangle Hockey: Dirty Dangle 2012 NHL Trade Deadline Drinking Game! Dirty Dangle 2012 NHL Trade Deadline Drinking Game! 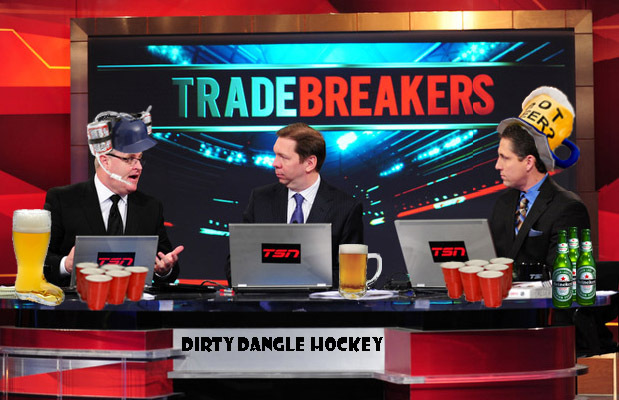 Whether you're calling in sick today or feel like putting a little something in your coffee at work, join us for the 2012 Dirty Dangle NHL Trade Deadline Drinking Game - we know Mike Richards and Jeff Carter will be playing along. We suggest starting the day with the Breakfast of Champions: beer and pancakes in honour of Dustin Penner (who might be moving today if a GM is trying to lose their job). Whatever your poison - Irish Coffee, Screwdriver, red wine in a Coke can - make sure to drink responsibly and don't be an idiot. Also, if you drive a bus or work with kids, it might be best to make a tally throughout the day and catch up after work with friends at a bar, or alone. For every trade that is made. Every time "CapGeek" is mentioned. Any time the words "buyer" or "seller" are mentioned. Any time "Unofficial National Holiday" is mentioned. Every time the most trades on deadline day is mentioned. If a player being interviewed says he learned of the trade while watching a Trade Deadline show. 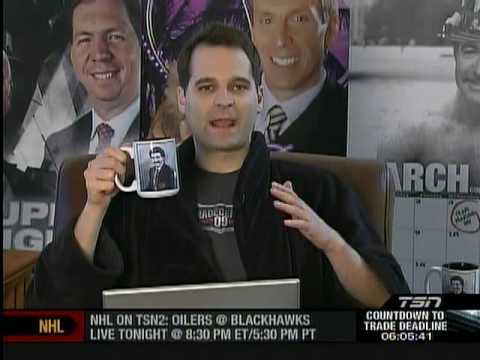 Every time TSN shows Jay Onrait at home in a robe (we know what you put in that Gino Reda mug, Jay). 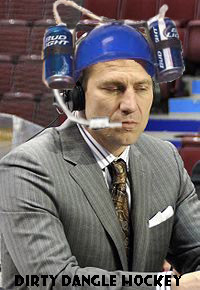 If Nick Kypreos breaks a trade before TSN, double the amount if he sticks it to TSN. If while watching theScore coverage, you think to yourself that Cam "Red Heat" Stewart really is a Raging Redhead (bonus drink if he reveals how many missiles of Pepsi he's had today). If you watch any of CBC's coverage of the trade deadline. If the big fish, Rick Nash, is traded. If a 1st round pick is traded. If a 7th round pick is traded. If a player you've never heard of is traded. If you see Brian Burke with his tie done up properly. If Eklund breaks a trade that is true. If you are fooled by a fake insider Twitter account. 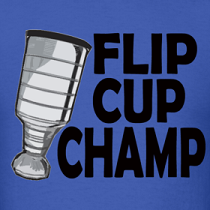 If your favourite NHL team does not make a move. Take a concussion shot (take a shot and have a friend hit you with a phone book) if Sidney Crosby is mentioned. If Mike Ribeiro is traded, take one of the the worst shots ever created and writhe in pain on your floor. Take a Rick DiPietro shot (cough medicine and take the week off of work) if any injured player is traded. If Ryan Malone is traded, finish all the alcohol in your home and go get 30% of your body covered in tattoos. Grab a bottle of Finlandia Vodka and make a sauna in your washroom if Teemu Selanne is traded. Trades are starting to come! Will the Nash domino fall?